Description: ziplock bags is an inexpensive flexible rectangular storage bag, usually mainly transparent, made of polyethylene, which can be sealed and opened many times by a slider which works in a similar way to a zip fastener. Material: made of LDPE with thickness from 30 microns and printing up to 6 colors by Gravure. Advantage: ziplock bags are a highly flexible and versatile clear polythene bag incorporating an interlocking ‘grip seal’ which allows the bag to be resealed time and time again. They offer impressive clarity and durability for just about any need that is out there. 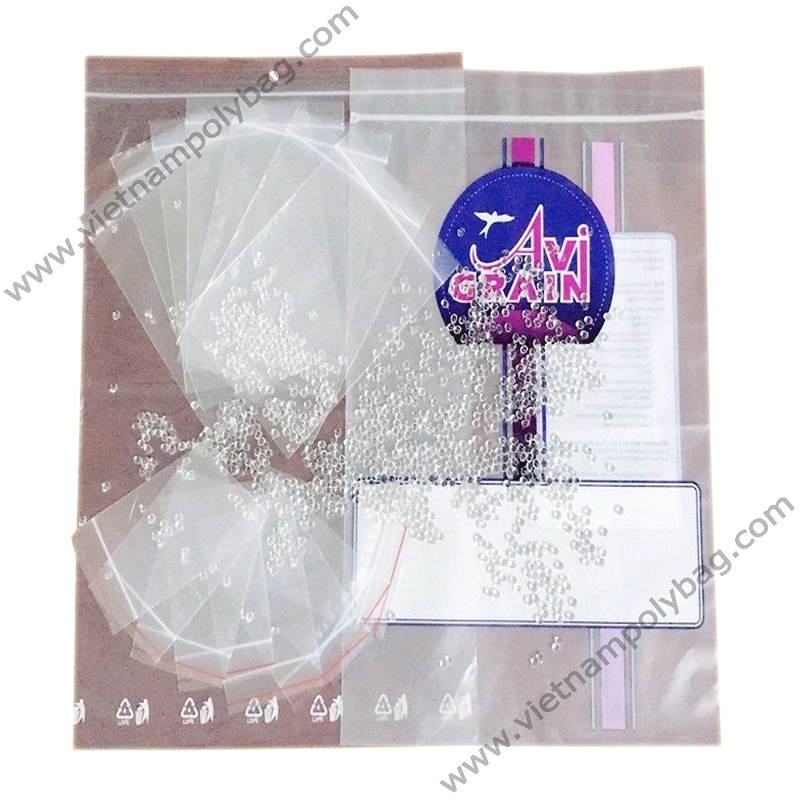 Prevent from dust and damage during shipment and stocking, function as hanging, zipper bags are re-usable, waterproof and suitable for food use. Usage: Ideal for storing and keeping safe various products like jeweler, beauty products, buttons, pins, coins, stamps, spices, electronic packing, pharmacy…This is also a perfect way for food packing to keep food fresh and tasting great….